I hope that everyone had a happy holiday and that Santa brought lots of craft projects for you to work on during the cold months of winter. All the materials for the CWA projects should have been distributed to all the Granges by now. If your Grange has not received theirs, please contact me and I will get them  to you. As mentioned in the last month’s article, we are making some changes to our program. Probably the most important of which is that “Let’s Celebrate” will be held in conjunction with Grange Sunday on June 12th at Cheshire Grange Hall. I know that this will give everyone on less month to work on their projects, but hopefully this will keep everyone form melting in the heat in July. 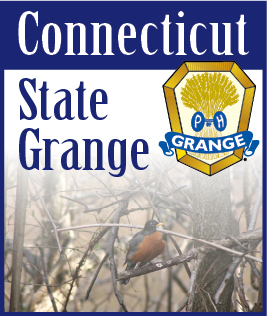 All entries will be due at the Grange Hall on Saturday for judging. So Happy New Year to all and keep those needles flying.